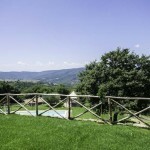 The garden area has a surface of around 1500sq.mt. 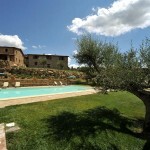 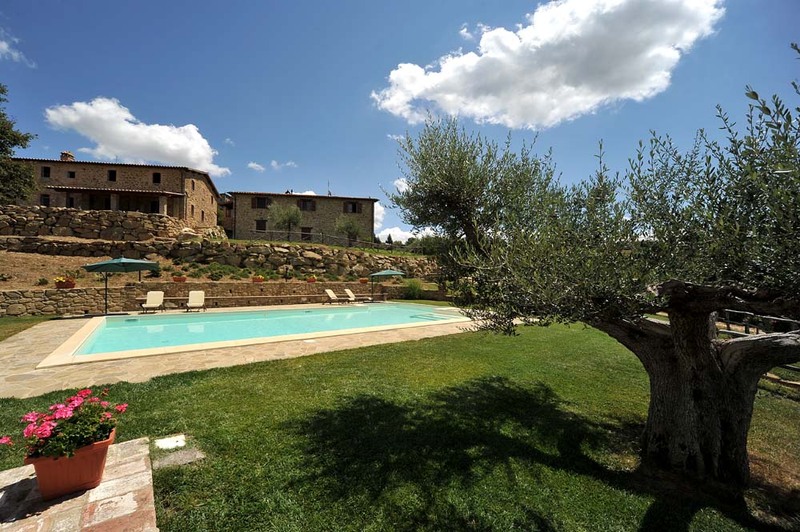 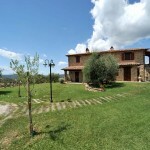 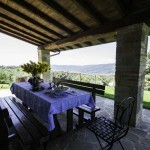 with various terraces, reserved solely for the guests of the farmhouses. 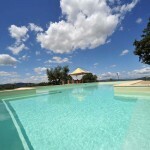 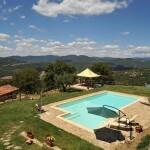 The swimming pool has a gazebo furnished with a table and benches, the swimming pool measures 12m5.x8mt. 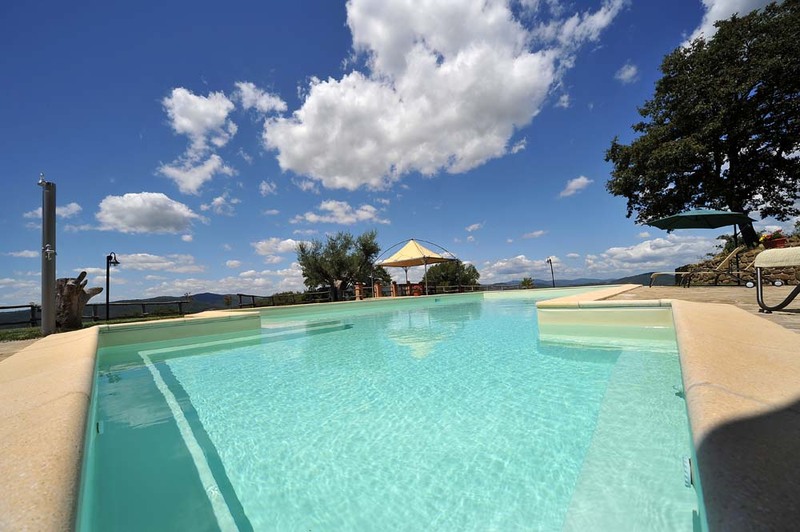 with a hydro massage area, sun beds and large umbrellas. 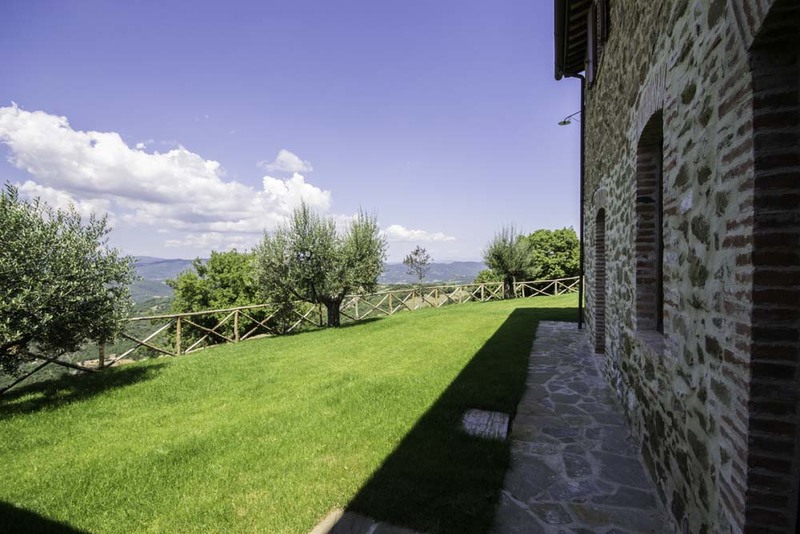 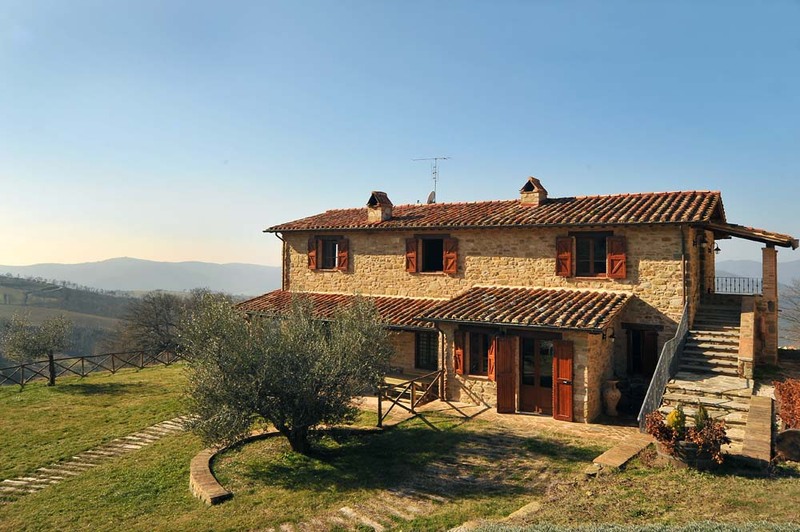 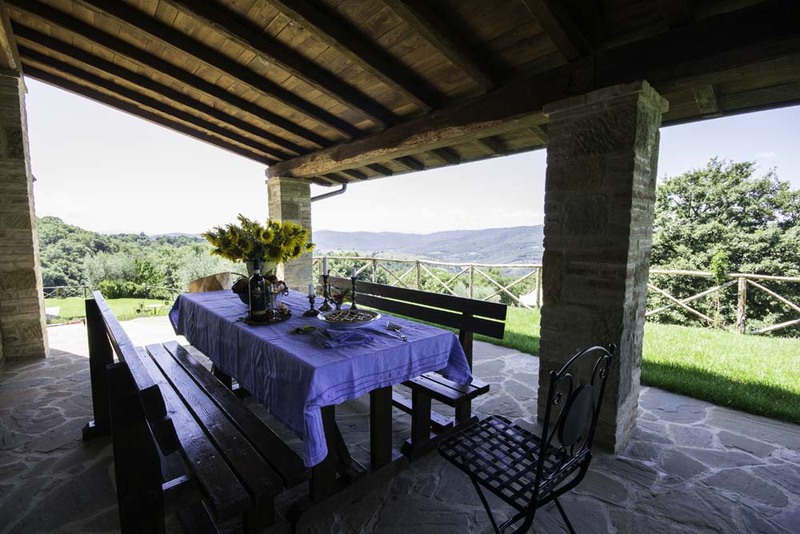 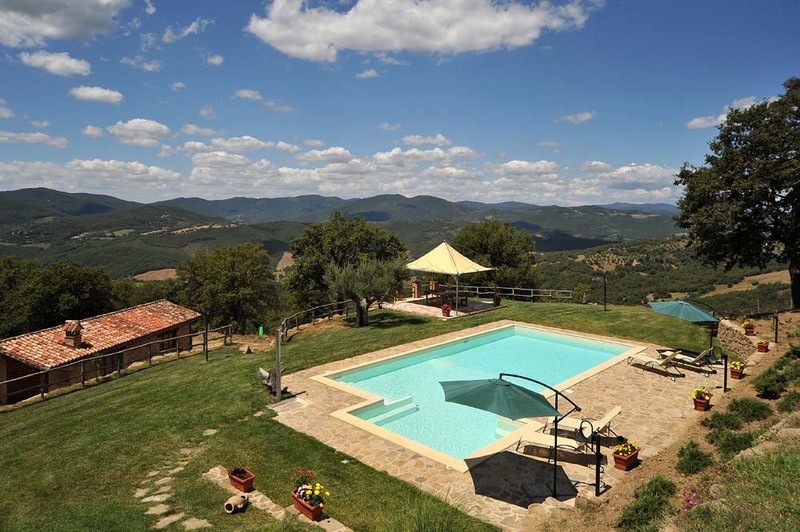 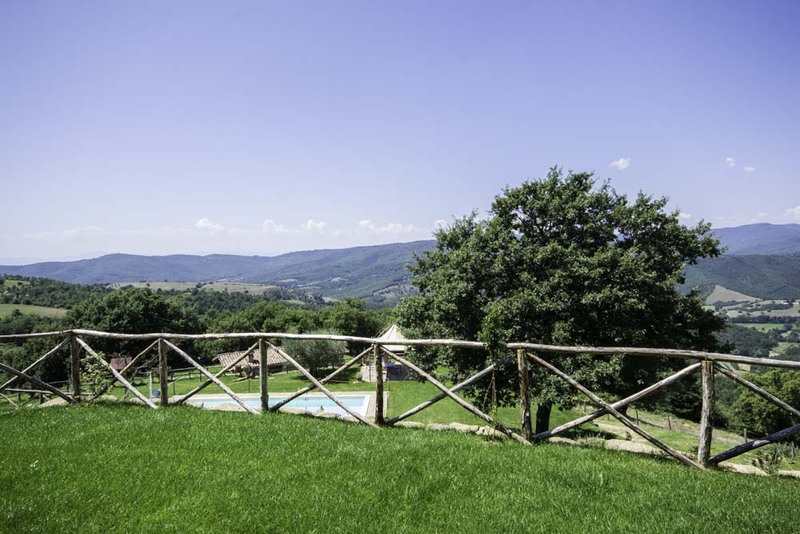 The garden patio and the day area of the principal farmhouse offers marvellous panoramas of the surrounding hills presenting spectacular sunsets. 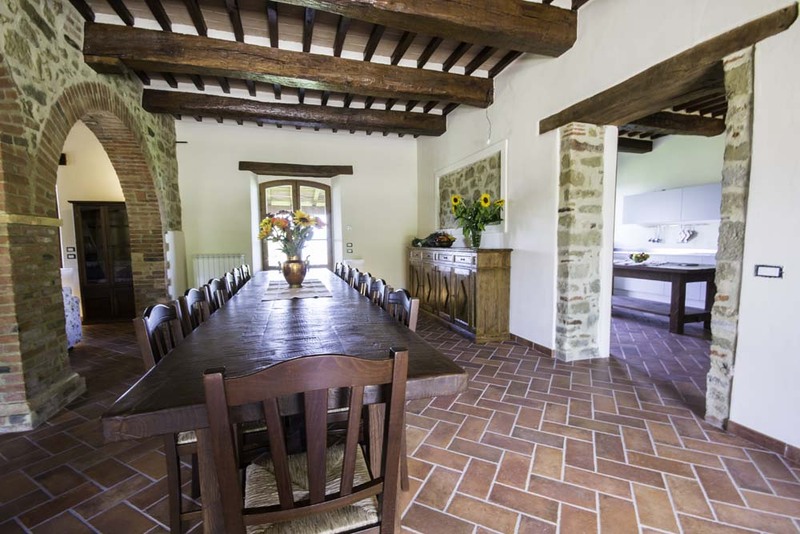 The renewed farmhouse ,have maintained the architectural structure of the place, conserving their rural house aspect. 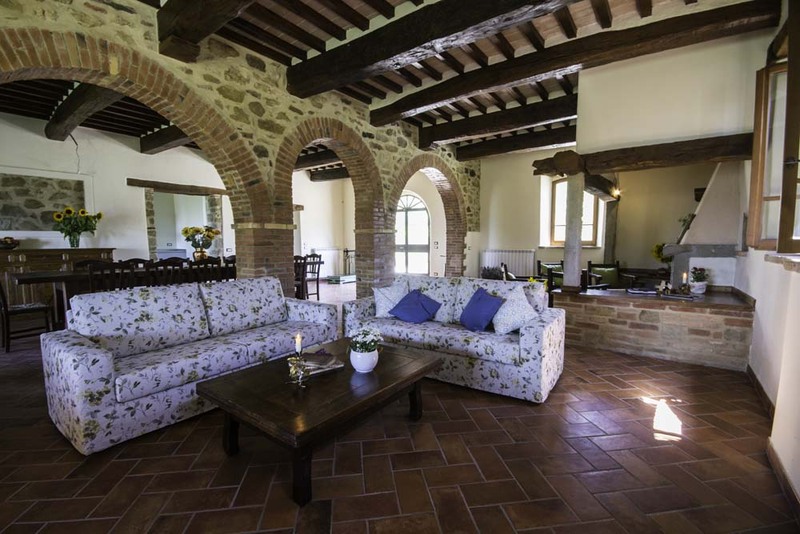 The internal part has been planned with particular attention for guests allowing them to spend their holiday relaxing in an extremely high level of comfort. 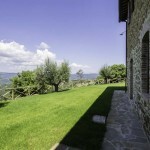 The principal house has a surface area of around 400sq.mt. 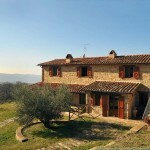 divided into 2 floors. 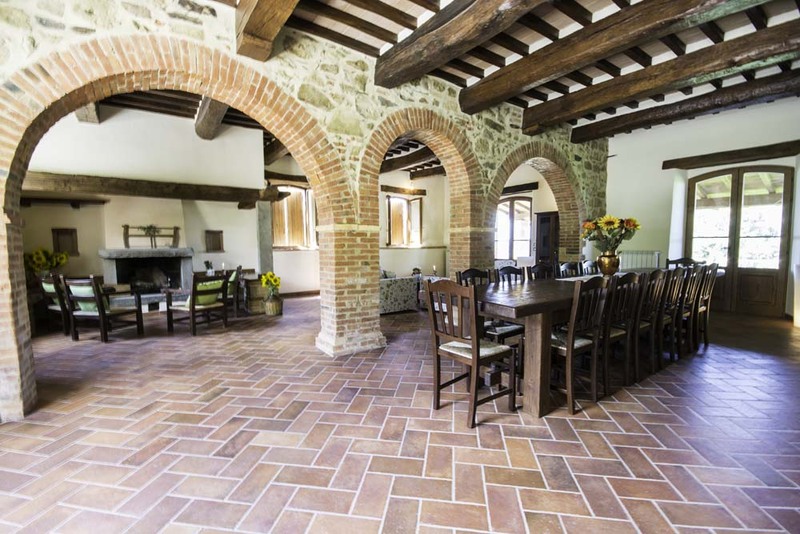 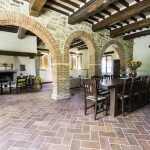 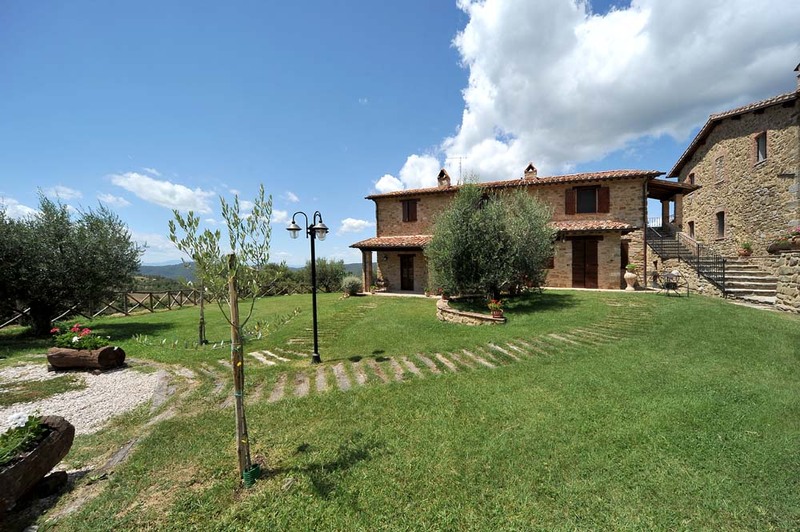 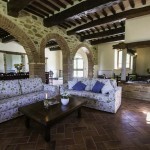 On the ground floor is found a large living area with a terracotta tiled floor and walls in stone, this hosts the dining area and the living room furnished with lounges and armchairs, flat screen TV ad a beautiful fireplace in brick.